What started as the “All-Sunday Afternoon Party” in 1995 on ABS-CBN is now the world’s largest touring Filipino show featuring an ensemble cast of the best live musical and dance performers from the longest running live weekend variety show, “ASAP Natin `To”, in the Philippines. As ABS-CBN The Filipino Channel (TFC) celebrates its 25th anniversary, ASAP returns to where TFC started: in the San Francisco Bay Area -- a mecca for innovation, cultural diversity, bold ideas, trend-setting cuisine, finest wineries, waterfront towns, eclectic architecture, and rich history of pioneering spirit. Expect two full-length live ASAP episodes for the price of one! The ASAP experience is full of infectious energy, breathtaking musical repertoire and dazzling choreography that capture the powerful force of Filipino talent and pride. Witness the legendary musical trailblazers mix it up with the brightest fresh talent for explosive onstage performance fireworks! 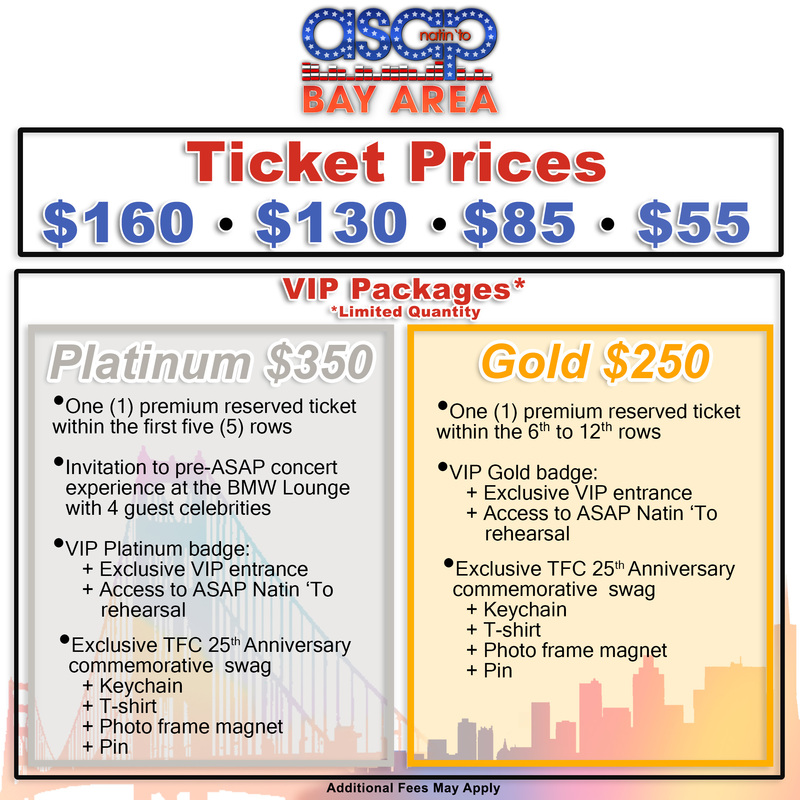 What is TFC Live Presents: ASAP Natin `To in the Bay Area? The event will be on Saturday, August 3, 2019. The event will be held at SAP Center at San Jose located at525 W Santa Clara St, San Jose, CA 95113. Doors to SAP Center will open at 2:30 pm with a show starting at 4:00 pm. Please note there are no in and out privileges at SAP Center. Tax and service fees may apply when purchasing from Ticketmaster. 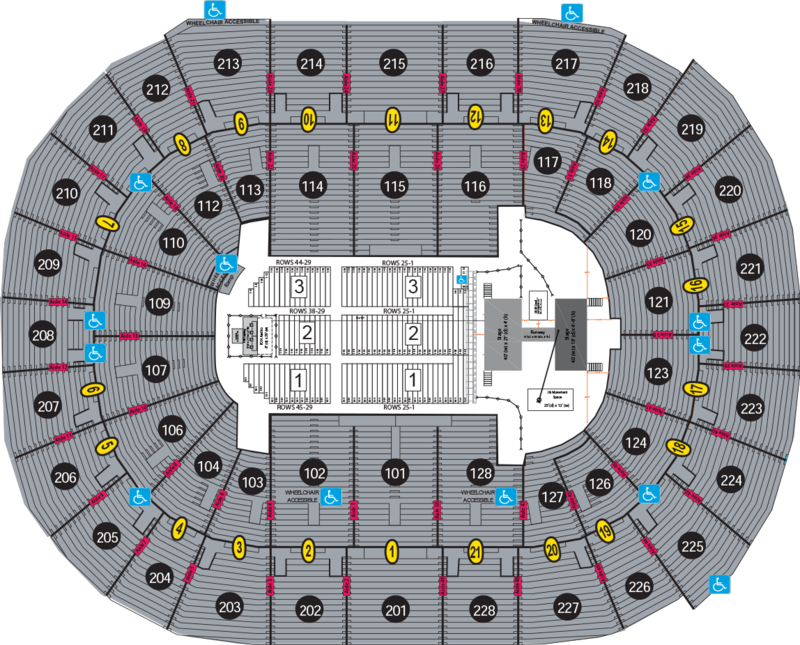 Who will be there at SAP Center for the main concert? Please be aware of purchasing tickets from non-authorized or third-party websites as these may be fraudulent tickets. ABS-CBN is not liable for fraudulent tickets. Do I have to purchase tickets for children? All attendees of any age require a ticket to enter SAP Center at San Jose. Do you offer discounts to Senior Citizens for this event? Since the ticket to this event with all its offerings is already priced reasonably to make it affordable to everyone, there is no Senior Citizens’ discount. What is your refund policy for this event? 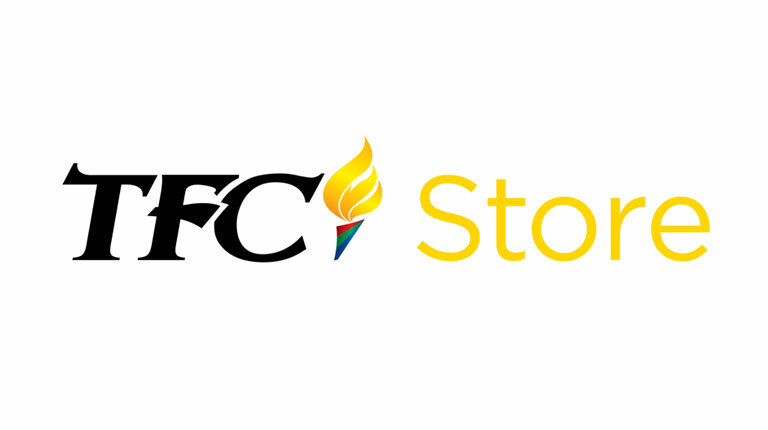 No refunds are allowed for any ticket purchases made from our authorized Filipino outlets. Are there seats assigned in SAP Center? Assigned seats are assigned in all levels except for the general admission tickets. Are there any other activities to expect at the event? There will be exhibitor tables in the Concourse Area of SAP Center. We will announce all details of these activities soon. Will there be a Meet & Chat? Watch out for any announcements as they become available. How do I sponsor that event or buy a booth? Ticket outlets will be released soon.